Momento Mori: Downtown Picnic Update! Hey! Sorry for the late post! This is the down-low on the Downtown Picnic! Downtown Picnic was super duper fun, and we got quite a few votes from it. Char had to leave before the picnic started because of some E.A.G.L.E.S. thing, but she came earlier to help with the set up. 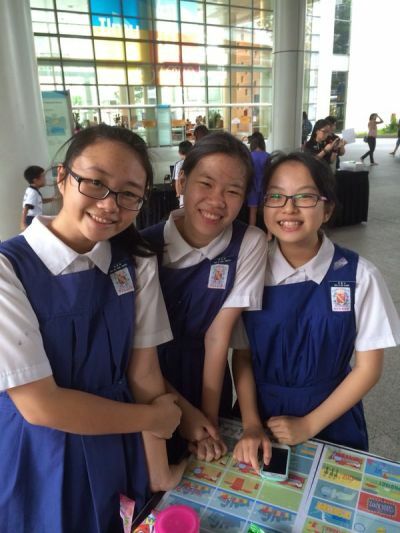 J, Clara and I bugged invited all our friends We also kind of recruited those who came to help advertize us heh heh. Making use of manpower! Of course, things didn’t go that smoothly. I kind of sort of accidentally spilt a Han’s strawberry milkshake, and there was a lady who just stood at our booth for ages and watched every single video before proceeding to not vote for us. (Rude!) So there were ups and downs. 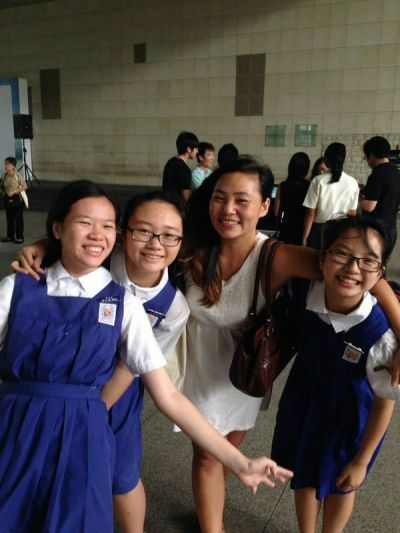 On the plus side, Ms Elaine came!